Located in the Western Ghats, at the banks of Amba River, near Khopoli, Durshet is place which could feature in one of those premiere episodes that showcase nature's bounty if Nat Geo or Discovery plans to showcase Indian places. The place is filled with extensive teak trees, flame of the forest and an occasional silver oak too. Spend a few minutes in this leafy forest ares, your entiresoundscape will be filled with dragonflies, waterfalls, streams, monkey calls and breeze rushing through the restless leaves. By Air: The nearest airport is the Chatrapathi Shivaji International Airport, which is located at a distance of 83 km from here. The airport is well-connected to all the major cities across the country such as Delhi, Chennai, Bengaluru, etc. By Train: The major railway station is the Khopoli Station which is well-connected to all the major towns and cities across the country. One can alight at this station and hire a taxi to reach the place, which is approximately 19 km away. By Road: One of the best ways to reach Durshet is by road. The town is well-connected by roads and there are regular buses that operate from major cities to Durshet. Best Time To Visit Durshet: Durshet is a year round destination. Those who want to opt for Route 1, it would take you approximately around 2 h to reach Durshet, via Mumbai-Pune Highway. The route takes you through the well-known towns of Navi Mumbai, Kamothe etc. The roads are well-maintained, which helps one to cover the distance at a good pace and the distance is about 77 km through this route. If you opt for Route 2, it would take you approximately 2 h to cover a total distance of 79 km from Mumbai to Durshet, via Mumbai-Pune Highway and NH 48. On Route 3, it would take you around 3 h to cover the distance of 98 km, via Mumbai - Pune Expressway and NH 48. Navi Mumbai is often considered as a perfect midway stopover to grab a glass hot tea or some hot vada pavs. Durshet is a tiny hamlet, which is located on the banks of river Amba,tucked away in the Sahyadri ranges of Maharashtra. As the place is located at a very close proximity from Mumbai and Pune, it is a perfect weekend getaway destination for the residents of Mumbai and Pune. The village is located between two Ganesha temples of Pali and Mahad and is just off the highway near the village of Khopoli. The place is historically significant as it served as battlefield when Shivaji fought Kartalab Khan for Umbarkhid in the late 1600s. 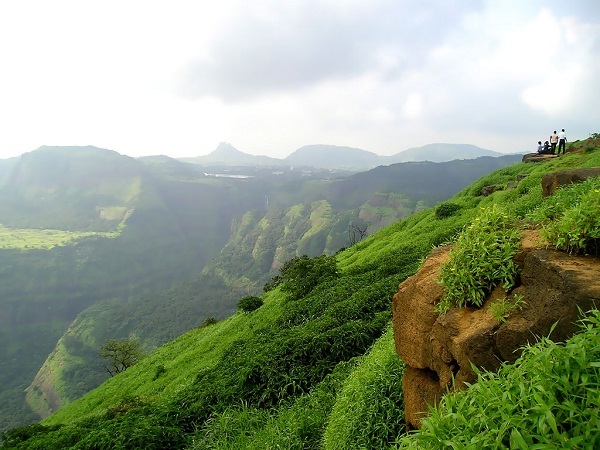 Situated a few kilometres away from Durshet are two mountain forts Sarasgad and Sudhagad, both of these forts were under the regin of Shivaji. Apart from its historical importance, the place is a very popular joint amongst trekkers and adventure enthusiasts.